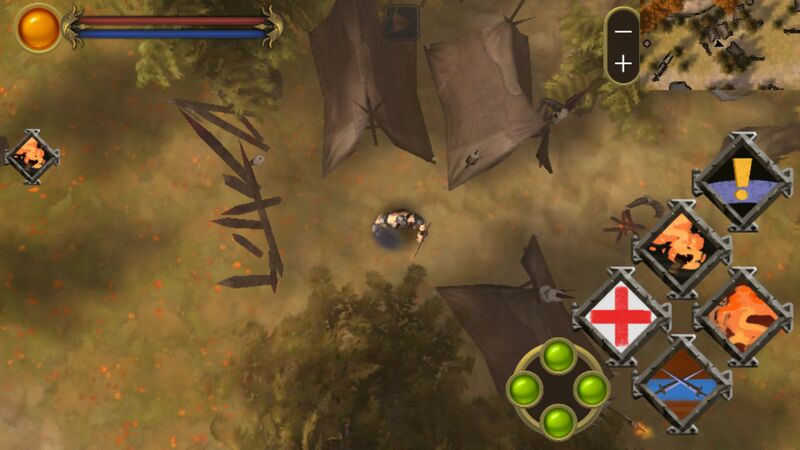 Are you able to take a screenshot of your location? Were you able to quit the application completely (double tap the home button, and swipe up on the thumbnail), then reload the app, and did the same thing happen? The game autosaves every 60 seconds so doing this shouldn't lose much progress. I have tried everything you said, but it is stuck there... this never happened before clearing Crypt, but I couldn't do anything after finishing Crypt dungeon. I thought it was hardware crash or something, so I reboot my phone (FYI, iphone 6 plus), but didn't work. this error was actually saved together. BTW, I can't attach the screenshot within this forum. Do you have email address or something that I can send you the screenshot? Can you upload it to imgur.com? I think you don't need an account to do that, and then you can link it here, that way others can see it as well. One other person has opened a bug report with a similar issue, it'll be good to see if they're the same spot. Ok, see below. I linked screenshots from pinterest, and hopefully it works fine. 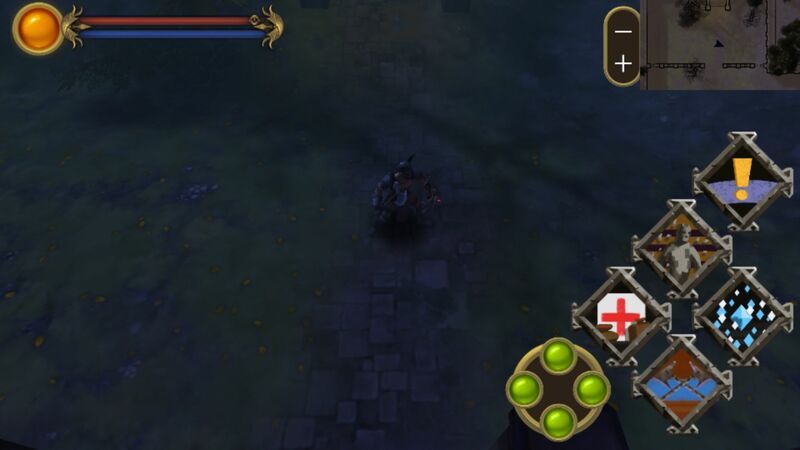 This first screenshot is for Shadow (lvl 36 Knight) near Ironport Overworld area. This one is stuck on here and cannot move at all. Everything was fine until I cleared Crypt. I was returning to Ironport, and this happened. Well, if you are not clear, please let me know. I'll try to replicate these, thank you! I plan on including a method of exporting a string of characters as a save game file so that you could send me the actual file, but also you could move saved games between devices. That won't be out for a few weeks at least, so for now I'll try to replicate these and figure out what the problem could be. Do you mind passing along which iOS version you're running? Thank you!! I'm glad you like the game! Alright, thanks! I dreamed about this bug last night, I must be interested in solving it! I don't think it'd make a difference, but there is a newer version of the game on the app store, v1.4.1 that you can upgrade to. 1.4.2 will be out hopefully within 10 days as well. If you could not delete one of these games, that'd be good, so that if I can get the "send saved game" feature built, I can check it out directly. This *could* be a bug that will be fixed (and is caused) by stuff I can't control. A couple weeks before release I started using the Unity integration with apples Metal graphics. It sped up the game a ton, something like 30%, which was great. However the first few days there was a bug where the game would freeze when you walked on certain areas. I don't think I was able to pause the game when it got stuck, but I don't actually remember if I tried that. I learned that if I covered the area with a rock or something, the spot wouldn't travel. But that wasn't a good solution, since I found a bunch. However, each week there's a new release of Unity with bug fixes. One week there was a bug fix that had something to do with Metal and terrain (Overworld/Swamp/Graveyard/Town all have terrain vs. floor geometry), and after that the spots that i had found were perfectly fine. So I figured it was all fixed. Thanks for quick comments! hope send-saved-file feature ready soon so that I can send out two of my saved files to you for your fix. neway, it sounds very complicated to me but hope everything fixed well. great day! Alright, I've been able to replicated it -- in the overworld I moved close to where the screenshot shows and suddenly kept moving. I'll keep testing now to see what may be the problem. This is not the same bug as before, this is something I"ve not yet seen. Good news! This will be fixed in 1.4.2 -- I'm going to cancel the current build and restart it today. It'll take ~10 days still, but canceling the current 1.4.2 and including this is important as it's a bug that'll effect pretty much everyone. I'll see if Apple has some secret program to fast track updates like this. So the problem, if you're interested, is that I never took too long in my testing. I'd play through, but I was fast because I knew all the secrets and have gotten fairly good at not dying (although I still do die, even fall off ledges!). The enemies, when they respawn, do so at a higher level. In the code some of the enemies have many levels, others have only a few and they're supposed to repeat the last one over and over again if needs be. Since I never played that long, I never realized that when the enemies got past their last set type, they wouldn't repeat and instead would throw an error. That's the cause for the pause -- when you got close to an enemy and it turned on, if it didn't know which model to use, it caused a problem. Long story over. Hopefully I can fast track this update. It'll be 1.4.2.1 and you'll have to do it from the app store. It may take up to 10 days to get active. Either way, I'll update this page when it's ready. wow, i must say your are really good at QA! was expecting to take a month to figure out the problem but you were really prompt!! Thanks for your works and all that. good game and good developer! have to love this! I got lucky, in a way One of the characters on my iPad was pretty far in the game, and I'd been using it to show people the game, meaning more play time had happened. Since this bug required at least 8-9 hours of play (and in most cases will happen only much later), I think I was lucky that I had gotten to that point without having to play more and more. 1.4.3 is now live! Thanks for bringing up the bug reports!! Nice! its fixed and eveything looks perfect! Thanks for the quick turnaround! will let you know any other bugs if I find any. appreciate your efforts!